Another week has passed us by and in doing so we've got more car news for you! The past seven days has brought us spy shots of the facelifted Jaguar F-Type plus four special edition cars: an Audi R8 V10 Plus, Lotus Evora, MINI Seven, and a Givenchy-spec Citroen DS 3! Audi have announced that a limited-production R8 V10 Plus will be built known as the R8 V10 Selection 24h special edition. The Selection 24h gets its name from Audi's motorsport success in the Nurburgring 24 Hours race, paying homage to their R8 LMS which has won an astounding 323 races since 2009. The special edition comes with the same 602 bhp 5.2-litre V10 in a 'standard' V10 Plus, meaning a 0-62 mph time of 3.2 seconds and top speed of 205 mph. The main changes that make this car special though are those relating to its looks and handling. The Selection 24h has been closely developed alongside the GT3 R8 LMS, resulting in it adopting their dynamic steering, adaptive dampers and laser lighting. It'll also come with a similar paint pattern, several upgraded carbon fibre parts and R8 24h logos on the sideskirts. The price? Each one is set to cost more than £180,000 each - with only 24 being made. The latest Jaguar F-Type coupe has been spotted at the Nurburgring being put through its paces. Covered in the traditional camouflage paint job, the facelifted F-Type is set to receive an all-new engine - a 2.0-litre four-cylinder turbo capable of around 300 bhp. Whilst that may be underwhelming in comparison to their existing 3.0-litre V6 and 5.0-litre V8 engines, it does suggest that this new engine will act as entry-level variant to the F-Type series. Other changes include tweaked headlights and rear lights, updated bumpers and grilles, and a new rectangular exhaust system rather than the twin or quad tailpipes on the V6 and V8 models. It's also likely to receive the F-Pace's updated infotainment system and some other small changes too. No more details are known yet but an official reveal is expected some point early next year. MINI have released a special edition Seven designed to pay tribute to the very first Mini - the 1959 Austin Seven. The changes are purely cosmetic but are implemented both inside and out. The exterior boasts 17-inch two-tone alloys, a silver roof, silver door mirrors, and can be finished in one of four exclusive colours: Pepper White, Midnight Black, Lapisluxury Blue and British Racing Green. You can finish off the look with optional silver bonnet stripes and panoramic roof, too. On the inside the car has received diamond matt brown fabric and leather seats, a 6.5-inch Bluetooth display and automatic dual-zone air conditioning. There are several optional extras available, but most will be tempted by the Seven Chili optional extra pack, which adds a full leather interior and steering wheel, LED headlights and cruise control. 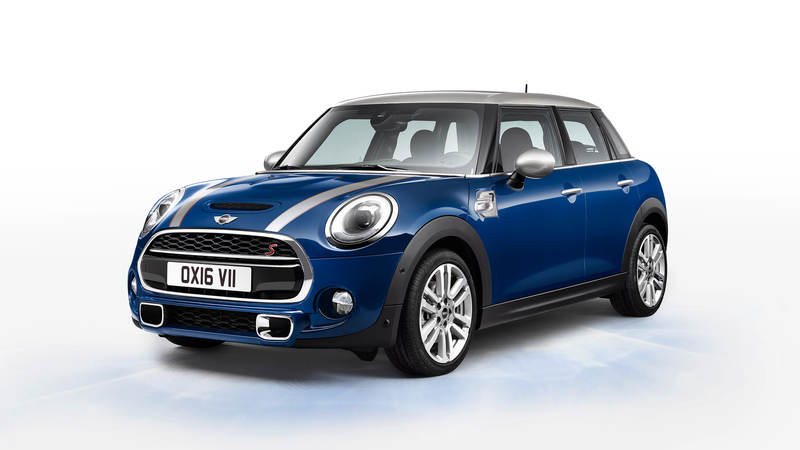 The MINI Seven special edition is available to order now with prices starting at £18,545. 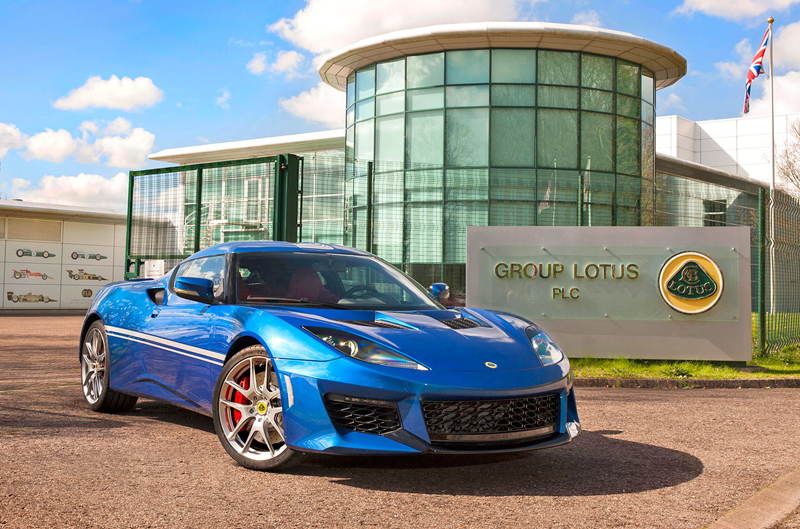 British manufacturer Lotus have unveiled a special Lotus Evora known as the Hethel Edition 400. The car has been designed to pay tribute to the founding date of their famous Norfolk factory which has now been open for 50 years. Performance-wise the Lotus Evora Hethel Edition 400 remains unchanged, however a 0-62 mph time of 4.1 seconds and top speed of 186 mph suggests it wasn't necessary anyway! The changes include lightweight silver forged aluminium wheels and contrasting brake callipers plus an interior trim choice of black leather, red leather, or Alcantara. The car is then finished in either Essex Blue, Motorsport Black or Racing Green with bespoke graphics and upholstery colouring to match. This special edition is available now and costs £2,500 more than a standard Evora, meaning a costly £75,500 price tag. The Citroen DS 3 has been given a special edition makeover by luxury designer and cosmetic maker Givenchy. The car - dubbed the DS 3 Givenchy Le MakeUp - comes in a matte, textured Opaline White finish with a purple roof as well as purple mirrors and centre caps. Interior-wise, it receives a Rose Pink dash colouring, black leather upholstery, 7-inch touchscreen, LED mirror lighting, and bespoke Givenchy branded floor mats and centre console. One more exclusive addition is the centre armrest, which houses a custom Givenchy makeup kit containing their Le Rouge lipstick, Noir Couture mascara, Prisme Visage face powder and Le Vernis nail polish - in matching 'Whisper purple' of course. Only 500 will be made and are being offered to their mystery target buyers at a price of £19,395 each.